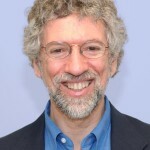 David E. Mandelbaum, MD, PhD, is Professor of Neurology and Pediatrics at Alpert Medical School of Brown University and Director of Child Neurology at Hasbro Children’s and Rhode Island Hospitals in Providence, RI. Dr. Mandelbaum’s clinical research focus has been on: Cognitive aspects of epilepsy and antiepileptic drugs; ADHD symptoms in epilepsy and sleep disorders; the Genetics of epilepsy. Dr. Mandelbaum is a member of the Child Neurology Society, Professors of Child Neurology, International Child Neurology Society, a Fellow in the American Academy of Neurology. He is currently serving on the Practice Committee of the Child Neurology Society. Dr. Mandelbaum is on the editorial board of Pediatric Neurology and The Journal of Child Neurology and has served as an ad hoc reviewer for: Epilepsia, Neurology, Biol. Psych., Epilepsy and Behavior and Journal of Pediatric Neurology. Mandelbaum, DE and Trask CL. Cognitive Side Effects of Anti-Epileptic Drugs. In: Pediatric Epilepsy: Diagnosis and Therapy. Pellock JM, Dodson WE, Bourgeois BFD (editors). Demos Medical Publishing 2008. Mandelbaum DE. Section editor Section 2: General Pediatric Neurologic Diseases and Disorders. Child and Adolescent Neurology 3rd edition. Demos Medical Publishing, 2009. Mandelbaum, DE. Attention-Deficit-Hyperactivity Disorder in: Pediatric Neurology: Principles and Practice. 5th Edition. Swaiman KF,Ashwal S, Ferriero DF, Schor N eds. Elsevier. Philadelphia, Pa. 2012. 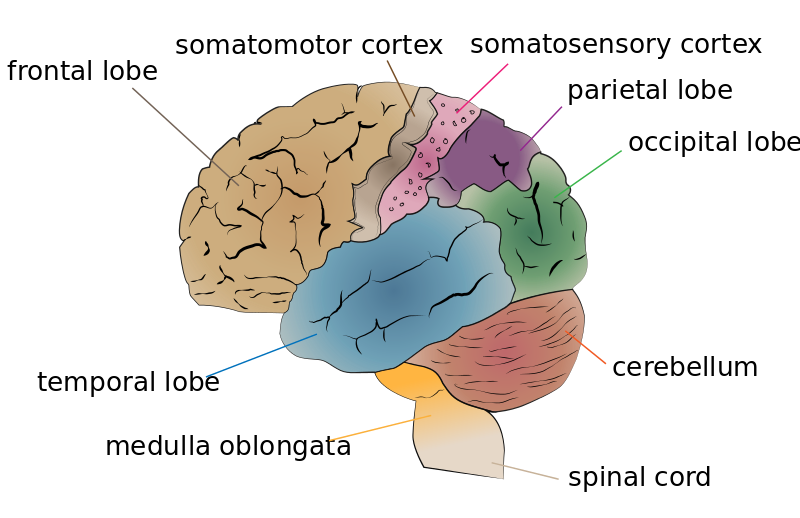 Cognitive aspects, associated with one part of the frontal lobe or ‘cool’ EF. Inattention is a symptom related to cognitive aspects or ‘cool’ EF. Affective aspects, associated with another part of the frontal lobe or ‘hot’ EF. It is understood that no single test can be used to make a diagnosis and that it is the responsibility of the clinician to choose among several tests to reach a correct diagnosis. For example, preschool children’s behavior demonstrate ADHD-type symptoms, but usually in short bursts. This presentation makes it difficult to assess a child for a diagnosis within this age-group. Computerized tests have been developed to provide a more unbiased or objective basis for the diagnosis of ADHD. Experts agree these computerized tests should be used along with parents, teachers, or other appropriate providers’ description of a child’s behavior when making a possible ADHD diagnosis. Another consideration when evaluating a child for ADHD is the motor examination. This may help separate children with a learning disorder from those with ADHD. It is recommended to evaluate a child between the ages of 5 years and the onset of puberty – a period of rapid change in motor development. A health care provider’s ability to perform an examination of the motor system may demonstrate evidence of motor difficulty. The DSM-V clinical criteria for diagnosing ADHD (see Figure 1) indicate a number of qualifications that are too often ignored, resulting in an incorrect diagnosis. The criteria are clear that the findings need to be present “to a degree that is maladaptive and inconsistent with developmental level.” This means that providers and parents should consider even if the behavior is not typical, but it does change or adapt with various settings or child’s development, that a diagnosis of ADHD may not be appropriate. Additionally, experts recommend considering the role of unrealistic expectations on a child’s behavior when making an assessment. To assist in setting appropriate expectations, the DSM V also suggest, “some impairment from the symptoms is present in two or more settings (e.g., at school [or work] and at home).” This recommendation is important because of the possibility that a child in an inadequate school environment, perhaps with excessive class size, hostile peers, or inexperienced teachers, may have behavior that is unique to that setting, rather than represent a disorder of attention. Additionally, a chaotic home environment may explain the child’s behavior. A second controversy in ADHD involves the use of terms such as “pseudo-ADHD” or ADH syndrome. These terms are used when children have ADHD and other conditions, comorbidities or confounding factors. To help clarify, it has been proposed that ADHD be divided into subgroups based on the patterns of comorbidity. Finally, there is controversy over the thought that if a child’s body responds to a pyschostimulant medication – the response itself proves the underlying condition is ADHD. However, many experts feel this belief leads to an incorrect diagnosis because a psychostimulant medication can also help other conditions, such as depression, chronic fatigue syndrome, sleep disorders; and even enhance normal individuals’ cognitive functioning and behavior. A positive response to psychostimulants has no diagnostic significance. There have been many technological and clinical advancements, such as structural and functional imaging, clinical neurophysiologic techniques, and molecular genetics that have aided in the evaluation and management of children with ADHD. Studies have found that a child’s brain structure may change if they have ADHD and are or are not on psychostimulant medications. Some changes seen in research include reductions in volume and in thickness in specific areas of brain gray matter (brain tissue). For example, a study comparing children with ADHD who were and were not taking psychostimlants found that there was more rapid cortical thinning over time in the group not taking psycho-stimulants compared to the group taking psychostimulants. At baseline, all children in the study were tested and no changes in brain structure were seen. The children were then placed into two groups: treatment (children received pscyhostimulant medication) and non-treatment (did not receive psychostimulant medication). At the end of the study, the non-treatment group had a significantly thinner cortex than the treatment group. The authors of the study suggested the psychostimulants, by increasing age appropriate levels of cognition and action, improved cortical development. Functional magnetic resonance imaging (fMRI) studies have demonstrated abnormal activity in the frontal lobe and in the middle region of the brain (striatum) in children with ADHD. Stimulant medication resulted in improved performance in a test of response inhibition, associated with increased activation of these brain regions in children with ADHD. Studies using single-photon emission computed tomography (SPECT), a measure of blood flow in the brain, showed that children with ADHD and coexistent conditions (e.g., oppositional defiant disorder (ODD); conduct disorder (CD)), mood disorders, learning disorder, alone or in combination) had decreased blood flow in the temporal lobe while performing an attention task compared with the pure ADHD children. These differences in blood flow may explain the better rate of response to stimulants in the pure ADHD group and suggests that different treatments for the two groups may be necessary. Untreated adults with ADHD (with no psychiatric comorbidity) have increased levels of a molecule that transports the neurotransmitter dopamine in specific brain regions compared with normal control subjects. The levels decreased after 4 weeks of stimulant medication treatment, suggesting a role for excess dopaminergic activity in the brains of individuals with ADHD. Studies of electrical activity in the brain in response to a stimulus (ERPs) in children with ADHD suggest a lack of inhibitory activity in the frontal lobe. Children with ADHD had larger ERPs than the control group to a warning stimulus that was not helpful for task performance, suggesting a lack of inhibition to an irrelevant stimulus in the ADHD group. Another study found quicker and larger ERPs that were thought to reflect an inhibitory process in the ADHD group. These findings suggest that children with ADHD need to trigger inhibition processes earlier and more strongly to achieve the same behaviors as control subjects. There is evidence indicating that ADHD and how the disorder is expressed in the child’s behavior is linked to genetics. Studies have looked at the role of dopamine (a neurotransmitter associated with pleasure, attention, and movement) and how psychostimulant medications interact with it. For example, there is evidence that psychostimulant medication limits the activity of dopamine transporters has led to molecular genetic studies of dopamine transporter and receptor genes. Some studies have found genetic differences between people who respond and people who do not respond to stimulant medications. A study of a group of children from families of European descent with a child in the family having ADHD found gene variations in 229 distinct genes. In particular, the largest group of genes affected the olfactory receptor superfamily. Twenty-two of these genes had previously been implicated in various neurologic and neuropsychiatric disorders, including Tourette syndrome (2 genes), autism (4 genes), and schizophrenia (15 genes). An additional eight genes had been identified as having structural variations in autism and schizophrenia. When experts looked at these genes compared with genes known to be involved with nervous system development, function and behavior, they identified common genes linked with learning, cognition, and hindbrain development. Thus the variations found in this ADHD group were significantly linked as possible genes in other neuropsychiatric disorders and in neurodevelopmental pathways. Data reported from the National Longitudinal Survey of Youth [NLSY, 1979] associated hours of television watched per day at ages 1 and 3 years with parental reports of attention problems at age 7. The children did not have clinically diagnosed ADHD; rather, they were assessed as having attention problems by the parents. Although the interaction between environmental influences and genetics is well known, further investigation into this relationship is necessary. Many children who present with symptoms suggestive of ADHD actually have other neurologic or psychiatric conditions (such as depression, sleep disorders, or epilepsy) causing the symptoms seen by their parents or providers. A health care provider’s ability to correctly understand the cause of a symptom often directly determines the treatment plan. To help with reaching the correct diagnosis, experts have suggested ADHD be divided into subgroups based on other conditions (co-morbidities) affecting a child’s body. For example, ADHD and Conduct Disorder (CD) are two separate disorders. Most studies of children with ADHD and coexisting CD treated with psychostimulants demonstrated a reduction in physical and nonphysical aggression, as well as had improvement of ADHD symptoms. However, antidepressants (medication treatment for anxiety and depression disorders) may also reduce symptoms of aggression and ADHD in some children. While a diagnosis of an anxiety disorder does not also lead to a diagnosis of ADHD, studies have shown children with both conditions have fewer ADHD symptoms when treated with psychostimulants. Many children with ADHD are reported to have sleep disturbances, which may be primarily, related to the side-effects of medication or a result of co-morbid conditions, such as oppositional defiance disorder, depression and/or anxiety disorders. A co-morbid sleep disorder may increase the symptoms that present during the daytime in a child with ADHD, such as inattentiveness or hyperactivity. Children presenting with ADHD symptoms may benefit from clinical assessment for sleep problems. Reading disability and ADHD are two distinct disorders that may occur together. There is evidence of genetic linkage for ADHD and reading disability to the same region of a single chromosome. Authors also suggested lower IQs were related to test-taking differences between the groups. To support this assumption, the authors found FSIQ was most affected when based on the complete test as opposed to estimates from subtests. Whereas, when children with ADHD complete a test with longer testing times, their performance may decrease over time caused by the need for sustained attention. Additionally, for children with ADHD in these studies, there was greater weakness in the area of executive function. The authors suggested this limitation accounted for differences in a child’s overall ability. A child presenting with symptoms suggestive of ADHD should have hearing and vision screening, as such problems can be mistaken for ADHD. If the child’s difficulties are primarily in the school setting, an evaluation for learning disabilities should be pursued. Social stressors may also be significant factors and may justify intervention by social services agencies. If a child’s history or examination reveal possible presence of coexisting conditions, such as hypothyroidism or hyperthyroidism, appropriate diagnostic testing per standards of practice should take place. If a child’s history includes seizure activity (even if only nocturnal or febrile), perinatal stress, head trauma, fluctuating behavioral manifestations, or a family history of epilepsy, an electroencephalogram (EEG) is suggested. A sleep history should be obtained. If the results suggest a diagnosis of a sleep disorder or if there is a strong family history of sleep disorders, a sleep study should be considered. There are few clinical indications for imaging studies in children with ADHD. ADHD has been reported in association with head trauma, prematurity, perinatal injury, and neurofibromatosis. However, if the child is clinically stable, the presence of ADHD symptoms does not call for imaging studies beyond those indicated for the primary condition. It is recommended that parents, teachers, supervisors, coaches or any professional involved in the care of a child with ADHD consider creating a work environment with minimal distractions. Have seating that is somewhat isolated, close to the front of the room, and in front of the teacher. The setting should be fairly structured with checklists and homework assignment pads as organization techniques. At home, consider an uncluttered desk devoted exclusively to school work. Research concluded stimulants were more effective than behavioral therapies for management of ADHD symptoms. However, the combination of stimulants and behavioral therapy resulted in improved social skills but did not significantly improve ADHD symptoms over stimulants alone. Various forms of computerized training programs have been studied in treating children with ADHD. Computer training improved the working memory capacity in children with ADHD and adults without ADHD. Improvement extended to nonpracticed tasks involving the prefrontal region of the brain. In children with ADHD, the improvement in working memory was associated with a decrease in head movements. Children with ADHD trained to modify slow electrical brain activity had fewer impulsivity errors on a continuous performance task. Use of an EEG biofeedback program has been compared with the effectiveness of methylphenidate; there was no placebo arm in this study. After 3 months of the program, both groups had significant improvements in all four subscales on the Tests of Variables of Attention (TOVA) and in improvement on a behavior rating scale. A previous study using biofeedback reported greater improvement on the TOVA in participants with significant EEG changes than in those without changes (although there were improvements in both groups); there was no correlation between behavioral changes reported by the parents and changes in the EEG. This study did not include a control group. A study of EEG biofeedback that used a control group (i.e., the EEG patterns generated and the feedback to the participants was random) found no benefit from EEG biofeedback. In the 1930s, Charles Bradley administered benzedrine (an amphetamine) to children in whom he had done a lumbar puncture, in an attempt to diminish headaches after the lumbar puncture. Although not affecting the incidence of headaches, the children’s teachers reported major improvement in learning and behavior in a number of children that lasted the entire time they were treated. Subsequent research of benzedrine in children with neurologic and behavioral problems who had normal intelligence resulted in improvement in learning, a greater interest in and higher quality of their school work, behavioral and social improvements, and increased voluntary control. However, it was not until the 1960s, when methylphenidate was found to be effective in treatment of attention disorders. This discovery led to stimulant use by physicians and parents. Stimulant drugs act on both central and peripheral aspects of a patient’s nervous system by enhancing dopaminergic and noradrenergic transmission. Methylphenidate’s (a stimulant medication) effect on cognitive functions are caused by increasing dopamine activity in some brain regions. Stimulants have been demonstrated to improve cognitive ability, school performance, and behavior; whereas improvement in hyperactivity and impulsivity is mediated by reduction in dopaminergic stimulation in other brain regions. Studies suggest that a single measure of response to stimulant treatment may be insufficient because different doses may be necessary to improve particular functions. Stimulants are known to cause changes in heart rate and blood pressure; but in healthy children, this change does not require further treatment. There have been reports of psychostimulants inducing or exacerbating tic disorders, but follow-up studies have not found this to be a universal problem. Although this possibility should be discussed with children and their families, the presence of tics in a child with ADHD or in a family history is not an absolute reason to not use psychostimulants. Some have concerns over an increased risk of substance abuse in children treated with psychostimulants, but there is no supporting evidence. One study found that pharmacologic treatment for ADHD actually decreased the risk of subsequent substance abuse. There have been reports of a decrease in the height of children taking stimulant medications, but other studies found no effect. The reported decrease in height may reflect a maturational delay associated with ADHD, rather than a growth-stunting effect of medication. A longitudinal study revealed that children treated with medication had a reduced height gain compared with those who were not treated. Growth suppression was still evident during the second year of treatment in the group treated continuously, indicating that this was a constant effect. The observation that there was less growth suppression in the children who were not treated continuously suggests that interrupting treatment with stimulant medication may limit growth suppression, supporting the idea of drug holidays to address this side effect. There have been reports of behavioral worsening when stimulant medications are suddenly stopped. While the above medications are the same type of drug, they work in the body differently and cause various responses in patients. The drugs are available in various formulations, including immediate, extended release, and transdermal (through the skin) forms. If a patient does not respond to one stimulant, it is common practice for a health care provider to prescribe a different stimulant. As with any medication, the use of a psychostimulant should be under the direction of a health care provider to ensure the patient receives optimal benefit and to minimize side effects. Atomoxetine is a norepinephrine-specific reuptake inhibitor that is effective in the treatment of children with ADHD. In a study comparing atomoxetine to methylphenidate and placebo, the response rate to both was essentially the same; both were better than placebo. Studies indicate lower degree of appetite suppression (22% versus 32%) and less insomnia than with methylphenidate (7% versus 27%). Because atomoxetine is not a controlled substance in the United States, prescriptions with multiple refills can be provided, and renewals can be made over the phone (unlike stimulant medication). In December 2004, the Food and Drug Administration (FDA) asked the manufacturer to add a bolded warning about severe liver injury to the labeling, indicating that the medication should be discontinued in patients who develop jaundice or laboratory evidence of liver injury. In September 2005, the FDA directed the manufacturer to further revise the labeling to include a boxed warning regarding an increased risk of suicidal thinking in children and adolescents being treated with this drug. Modafinil is a central nervous stimulant found to be as effective in reducing ADHD symptoms as methylphenidate. It is not clear how Modafinil works in the body. It has been approved for the treatment of excessive daytime sleepiness associated with narcolepsy, obstructive sleep apnea, and shift-work sleep disorder. It is estimated that at least 30% of children diagnosed with ADHD do not respond to or tolerate stimulant medications. Studies have reported a lower response to psychostimulants in children with ADHD and anxiety or depression. This failure suggests the possibility that an incorrect diagnosis was made. However, genetic studies have suggested that children with ADHD respond differently to methylphenidate, depending on which genetic markers were found. Other agents found to be effective in the treatment of ADHD include tricyclic antidepressants (TCAs). In studies comparing TCAs with stimulants, TCAs appear to more consistently improve behavioral symptoms rather than cognitive function. There have been reports of sudden death in children treated with TCAs. While a further study did not find greater risk of sudden death with TCAs, it has been suggested that a baseline electrocardiogram (ECG) be obtained before initiating treatment and that ongoing ECGs be used during treatment (especially during times of dose increases). The alpha-adrenergic agents clonidine and guanfacine have been widely used for treatment of ADHD. These agents have been successful in treating Tourette syndrome and other tic disorders. Additionally, they have been shown to treat ADHD symptoms after a stimulant medication resulted in exacerbation of tics. Guanfacine appears to work in the body longer than clonidine, is less sedating, and is now available in a longer term release formulation. Reports of three deaths of children taking a combination of methylphenidate and clonidine prompted further study; however no evidence of an adverse methylphenidate-clonidine interaction was found. Nevertheless, if a health care provider prescribes this combination, a discussion of risks and benefits is recommended. A survey of parents of children referred for evaluation of ADHD reported that 54% of the parents used complementary and alternative medicine (e.g., acupuncture, nutritional supplements) for the child’s ADHD symptoms; however, only 11% of the parents discussed using such interventions with their child’s physician. ADHD persists into adulthood. The symptoms of ADHD may be less obvious after the individual is older. To account for this, DSM V adjusted the criteria for the diagnosis of ADHD such that in adults the presence of only five symptoms, rather than six, is sufficient to make the diagnosis. The finding that adolescents and young adults with ADHD had more car accidents with bodily injuries emphasizes the seriousness of the problem in older adolescents and adults. There is still much research required for achieving a fuller understanding of ADHD, including an exact definition. Available evidence suggests that there may be value in distinguishing ADHD/I from ADHD/HI and ADHD/C and in separating cases with comorbidity because these groups have different characteristics and different responses to treatment. A crucial role for the physician assessing a child for the possibility of ADHD is recognizing features in the presentation that suggest alternative diagnoses, which would call for different treatment than that for ADHD. Clinical neurophysiology: tests that assess brain function by measuring electrical signals coming from brain tissue. Gene variants: differences in the composition of genes that are usually inherited and may or may not cause disease states. Meta-analysis: areview of many articles covering the same topic in an effort to increase the number of subjects for which data is analyzed, increasing the value of the data available. Single-photon emission computed tomography (SPECT): functional imaging using photon emitting substances that are injected into the patient. Striatum: collections of nerve cells (neurons) that are below the cortex, in the middle region of the brain. American Academy of Pediatrics. Committee on quality improvement and subcommittee on attention-deficit/hyperactivity disorder clinical practice guideline: Diagnosis and evaluation of the child with attention deficit/hyperactivity disorder. Pediatrics 2000;105:1158. Barkley RA. Attention-deficit hyperactivity disorder: A handbook for diagnosis and treatment, 2nd ed. New York: Guilford Press, 1998. Biederman J, Wilens T, Mick E, et al. Pharmacotherapy of attention deficit/hyperactivity disorder reduces risk for substance abuse disorder. Pediatrics 1999;104:e20. Brown TE. Attention-deficit disorders and co-morbidities in children, adolescents and adults. Washington, DC, American Psychiatric Press, 2000. Chan E. Rappaport LA, Kemper KJ. Complementary and alternative therapies in childhood attention and hyperactivity problems. J Dev Behav Pediatr 2003;24:4. Christakis DA, Zimmerman FJ, DiGiuseppe DL, et al. Early television exposure and subsequent attentional problems in children. Pediatrics 2004;113:708. Denckla MB. ADHD: Topic update. Brain Dev 2003;25:383. Efron D, Jarman F, Barker M. Side effects of methylphenidate and dextroamphetamine in children with attention deficit hyperactivity disorder: A double-blind, crossover trial. Pediatrics 1997;100:662. Fuchs T, Birbaumer N, Lutzenberger W, et al. Neurofeedback treatment for attention-deficit/hyperactivity disorder in children: A comparison with methylphenidate. Appl Psychophysiol Biofeedback 2003;28:1. Gottlieb DJ, Vezina RM, Chase C, et al. Symptoms of sleep-disordered breathing in 5-year-old children are associated with sleepiness and problem behaviors. Pediatrics 2003;112:870. Jensen PS, Martin D, Cantwell DP. Co-morbidity in ADHD: Implications for research, practice, and DSM-V. J Am Acad Child Adolesc Psychiatry 1997;36:1035. Kent L. Recent advances in the genetics of attention deficit hyperactivity disorder. Curr Psychiatry Rep 2004;6:143. Lubar JF, Swartwood MO, Swartwood JN, et al. Evaluation of the effectiveness of EEG neurofeedback training for ADHD in a clinical setting as measured by changes in T.O.V.A. scores, behavioral ratings, and WISC-R performance. Biofeedback Self Regul 1995;20:83. MTA Cooperative Group. National Institute of Mental Health Multimodal Treatment Study of ADHD follow-up: Changes in effectiveness and growth after the end of treatment. Pediatrics 2004;113:762. Nichols SL, Waschbusch DA. A review of the validity of laboratory cognitive tasks used to assess symptoms of ADHD. Child Psychiatry Hum Dev 2004;34:297. Owens JA. The ADHD and Sleep Conundum: A Review. Developmental and Behavioral Pediatrics 2005 26 (4): 312-322. Pauls DV. The genetics of attention-deficit/hyperactivity disorder (Commentary). Biological Psychiatry 2005 57: 1310-1312. Powell A, Yudd A, Zee P, et al. Attention deficit hyperactivity syndrome associated with orbitofrontal epilepsy in a father and son. Neuropsychiatry Neuropsychol Behav Neurol 1997;10:151. Rapoport JL, Buchsbaum MS, Zahn TP, et al. Dextroamphetamine: Cognitive and behavioral effects in normal prepubertal boys. Science 1978;199:560. Skirrow C, McLaughlin G, Kuntsi J, Asherson P. Behavioral, neurocognitive and treatment overlap between attention-deficit/hyperativity disorder and mood instability. Expert Reviews In NeuroTherapeutics 2009; 9 (4): 489-503. Spencer T, Biederman J, Wilens T. Growth deficits in children with attention deficit hyperactivity disorder. Pediatrics 1998;102:501. Thunstrom M. Severe sleep problems in infancy associated with subsequent development of attention-deficit/hyperactivity disorder at 5.5 years of age. Acta Paediatr 2002;91:584. Vitiello B, Towbin K. Stimulant treatment of ADHD and risk of sudden death in children (Editorial) American Journal of Psychiatry 2009; 166: 955-957. Walters AS, Mandelbaum DE, Lewin DS, et al. Dopaminergic therapy in children with restless legs/periodic limb movements in sleep and ADHD. Pediatr Neurol 2000;22:182.